Need to revitalise and energise your team? Tired of the same old offerings? 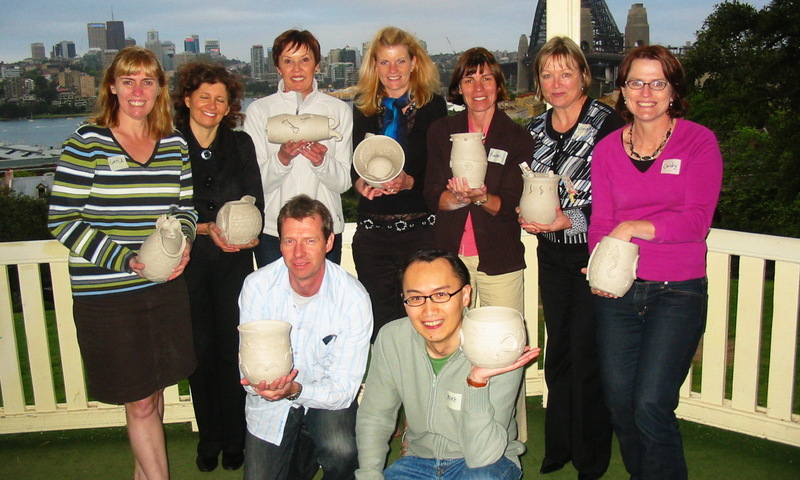 Try something different and creative with our team building pottery workshops to refocus your group. 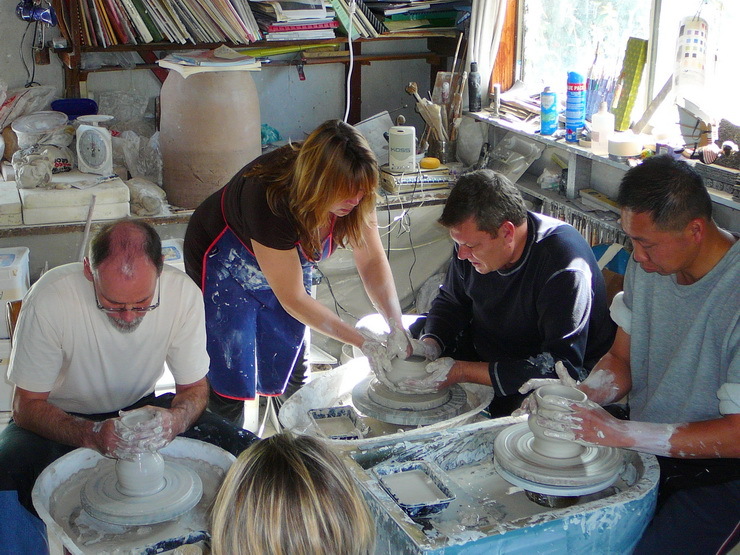 Our clay studio offers a unique day of team building and creativity retreats tailored to your needs. 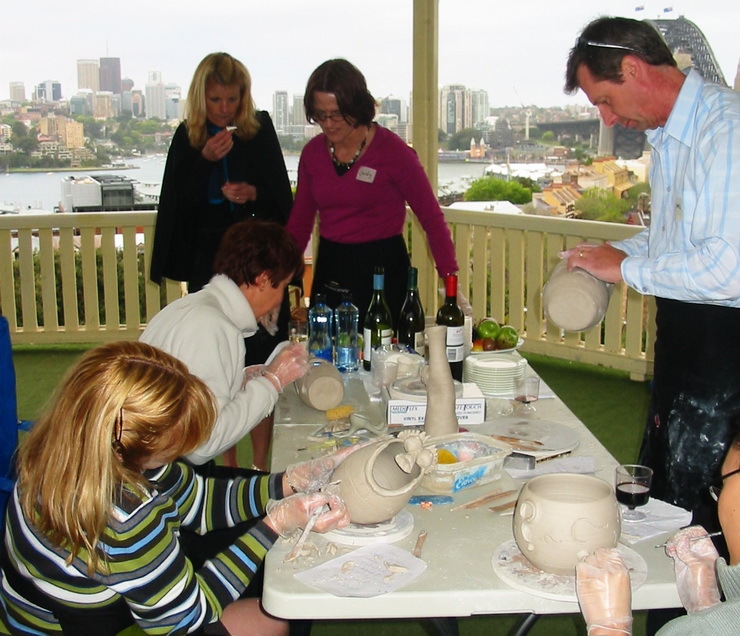 We have worked with a variety of businesses including teachers, government services as well as corporate groups; individually designing workshops that meet your needs. With many options available, to suite all budgets, you are limited only by your imagination. B) Creating a single product that everyone participates in. 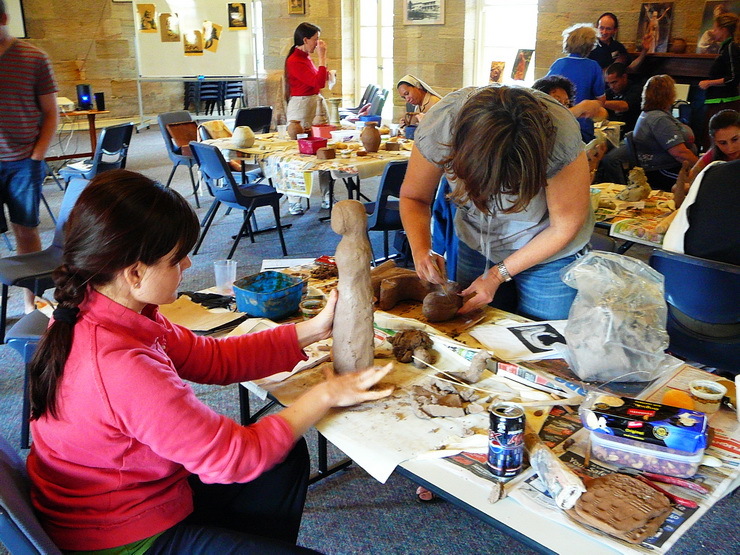 Need to look at different ways to keep the creativity alive and thriving in your team, try the clay puzzler selection of workshops that push individuals and teams to think past the ordinary into the extraordinary. We are also prepared to look at systemic problems that your teams face and help you to come up with creative ways to overcome them. There are different projects to choose from so talk to us about what you want to achieve and we will provide you with the most suitable options. We have a number of suggestions that are sure to work for you. What makes us different? 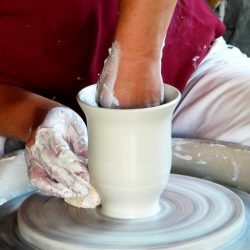 Not only are we engaging the mind, we help to create a tangible product (the fired and glazed object) that is forever a reminder of the process. By engaging both the physical and the mental we make a deeper connection to the outcome that you desire. Put your team first, combined with a retreat in one of the most beautiful places in Sydney, and this will be a day that no one forgets. 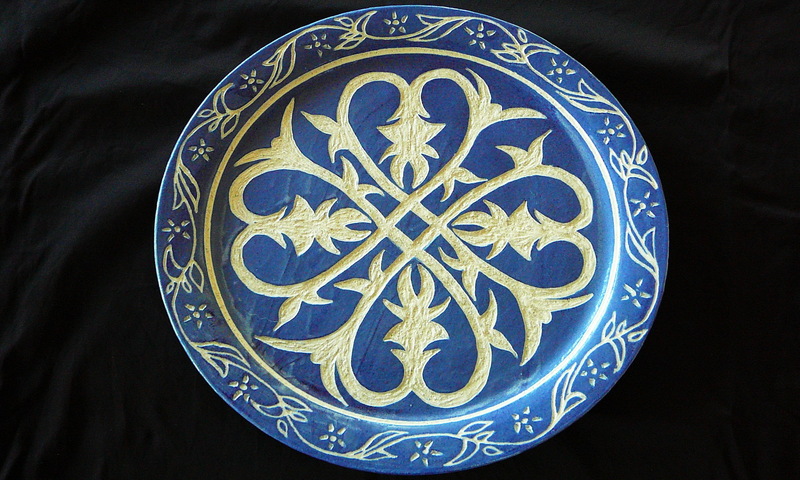 We also glaze and fire all pieces made on the day at no additional cost. If desired for an additional fee we can hold the workshop at your workplace premises or an alternate location of your choosing.